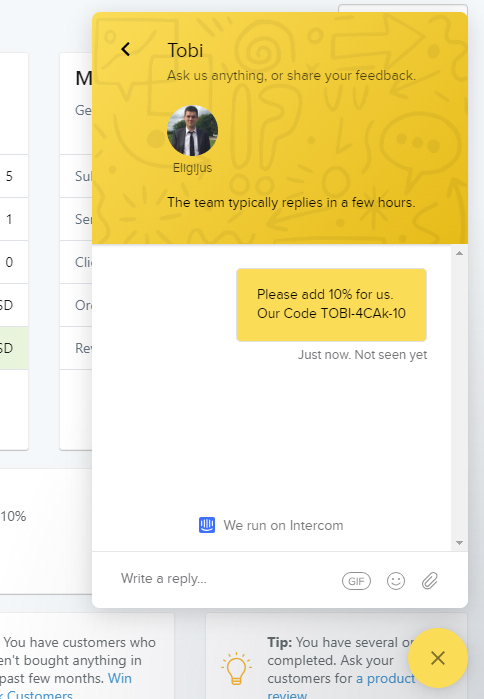 Once they buy credits to send SMS messages their need to send us the code using customer support chat. We will be more then happy to transfer you 10% from sum spent AND give away another 10% to your friend so you both will get a great deal. Get 10% as soon as the business makes their first spend. Please note that it works only for the first purchase and its not refundable. No. You can only claim the bonus to your personal account. Your refer a friend bonus will usually be paid out within 1-2 business days after you send us information via customer chat. You will receive your bonus in credits. No cash. Its also not refundable. Your friend has to buy credits for at least 20USD.